additionally, I had pretty scary experience with the ride the previous year. I was a raw beginner to road biking last year, and this ride was the longest I’d done. To this day it has remained the most challenging. I had fallen twice along the way, rode with bloody bandages hanging off my leg, and finished my ride exhausted and in pain. 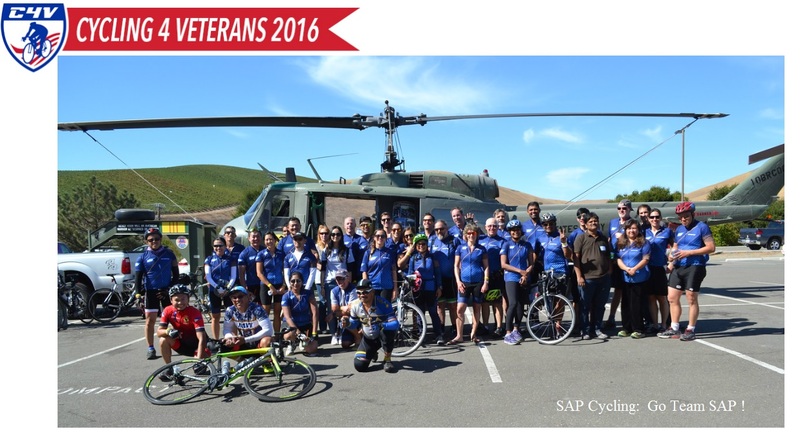 This year I was determined to stay in the saddle and finish the ride without falls. In sharp contrast to the last year’s gusty winds that made me feel like a vulnerable sail in my loose windbreaker filled with air, and rain, that resulted in road closures, this year was different. The weather was dry, temperatures a record high, and there was almost no wind – windmills were standing idle. However, I had to struggle with merciless heat that burned my skin through all the sunblock and made my thirst unquenchable. It culminated on the final climb of the Patterson overpass – right where I fell last year. I kept reminding myself that I could not stop, could not jump off and walk, had to keep pushing right to the top this time. After what seemed an endless impossible climb, I found myself on the top in a company of cyclists who were enjoying their achievement before continuing downhill for the remaining – and easier – part of the ride. The ride continued along picturesque wineries with grapes lining the road, and after getting lost a few times in town, I discovered the finish line – right where we had started a few hours earlier. After the group picture I enjoyed food in the company of old and new friends who I shared the journey and had bonded with. 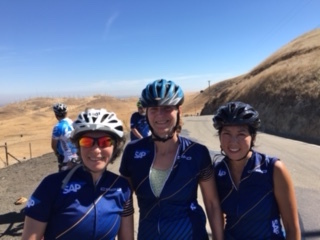 Visit https://jam4.sapjam.com/groups/about_page/11lGpLAj9jkNuH2xWy1QcE to learn about the upcoming rides, join the vibrant cycling community, and experience the excitement of pushing your boundaries, overcoming mental blocks while simultaneously making meaningful connections within SAP.